The full moon day of Larku Month (Wagaung in Burmese), year 2754 Karen Era (KE), which falls on August 30, 2015 is the day on which the Karen people hold the traditional wrist-tying ceremony. On this auspicious day, the Karen National Union (KNU) would like to extend its best wishes to all the Karen nationals to be full of patriotic spirit, to have healthiness, peace of mind and to be free from all the dangers. The hand-tying ceremony held in Wagaung month is one of the festivals held as an honorable and valuable tradition by the Karen people. It is one of the ancient traditions of the Karen people that has been observed throughout the ages, since time immemorial. As the ceremony is held on the full moon of Wagaung Month, it is also known as Wagaung Wrist-tying Ceremony. On the occasion of the ceremony, the relatives and friends of the Karen people living in faraway places congregate together and hold the meaningful rituals, in which prayers are recited and the participants tie the wrist of each other with white threads, in a symbolic gesture of reuniting the spirit and body firmly and refreshing the patriotism and unity of the Karen people. 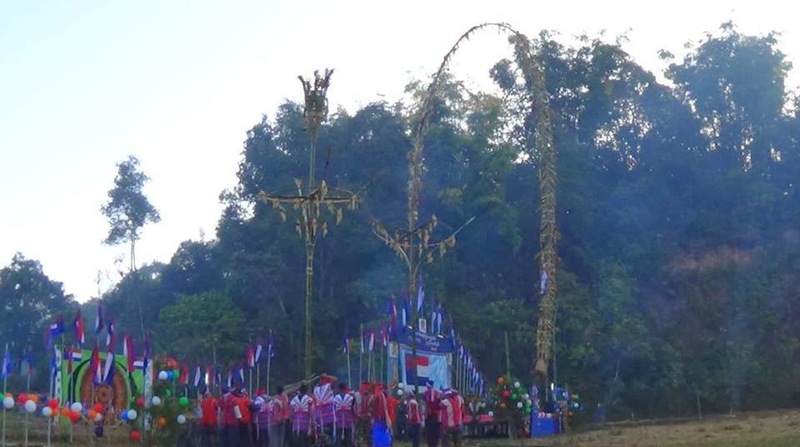 For that reason, the Karen people living at home and abroad, in various places, have to collectively maintain and observe the wrist-tying ceremony as a festival of their own traditional culture. The Karen people, living at home and abroad, by cooperatively holding the traditional ceremony just as their forebears have done, according to regions and communal groups, on this auspicious day, with the recognition that they are the descendants of the Karen people, is an indication of harmony and expression of unity with love. 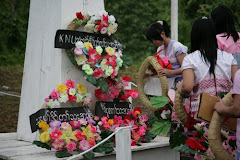 The seven items employed in the ceremony namely - the rice ball, sticky rice packet, banana, sugar cane, flower and white thread mean upholding of the characteristics the Karen nationality has possessed, which are unity, honesty, keenness, fortitude, industriousness, courage, patriotism and love of justice. As we are a nationality, it is also a collective expression of existence of the spirit in each individual nationality to maintain the love, appreciation, lasting solidity, durability and the dignity of a nationality, traditional culture and customs. The wrist-tying ceremony is not based on any religious belief. It is simply a traditional culture and custom relating to the Karen people and based on the spirit of unity and cooperation. The expression and practice of such culture by each individual person is the actual upholding of his or her national dignity. On the part of the KNU, this letter felicitation is sent with best wishes for the entire Karen people to gain full national spirit and the fulfilment of their hopes and aspirations.